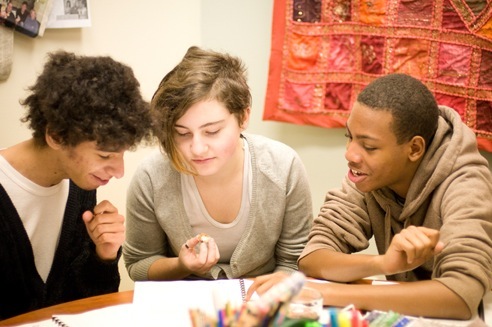 What are key elements of a bullying prevention and intervention plan? When schools begin to engage their members in working for bullying prevention, they need to consider many aspects of the problem. An effective plan seeks to stimulate reflection about core beliefs, values and attitudes that are relevant to this endeavour. This leads to the development of a comprehensive, collaborative and dynamic plan that generates and sustains positive change by informing our daily practice. I’m a member of our anti-bullying committee. I was scared at first, working with teachers, but it’s really fun now. I love contributing. In my opinion, the most difficult aspect in our fight against bullying is encouraging parental involvement in the campaign. It is always the same few parents involved. Our committee decided to focus in on this aspect. Some students who are part of our committee had a great idea - each student asks two other students to invite their parents to an activity at the school where we serve a snack and give them information on our campaign. This strategy worked brilliantly. Many parents attended the event and subsequently joined the committee, which is very important for us - we know that EVERYONE needs to be part of the fight against bullying for this to work. At first we weren’t sure how to proceed. So we consulted several resources and asked other schools in our Board what they were doing to give us some ideas. The most powerful suggestion for us was this: start thinking about bullying prevention as a school-wide culture change. We created committees with students, parents, school staff and even lunch monitors. We asked the following questions: What to we need to do to make a big change in our school? What will it look like? Who will participate? Ultimately, we found a common thread - courage! For us, courage plays an important part in almost all aspects of the change we want to encourage.